It is fair to say that most people have heard of Pinterest, a website that allows users to "pin" images from websites to virtual bulletin boards. However, some are still hesitant to invest time in yet another social media website. 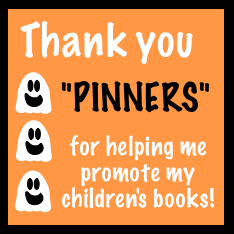 My goal of this post is to share with you how Pinterest helped me to successfully promote my Three Ghost Friends children's books. I hope after reading this post you will be encouraged to think about how you can effectively use Pinterest to market your children's books. First, I feel like I need to summarize how Pinterest works. Once you establish an account, you become a member of the Pinterest community, and this makes you a "pinner"! Pinners can create any number of virtual bulletin boards to organize any number of images from any number of websites. Each image that is "pinned" to your virtual bulletin board contains a URL that allows the image to be clicked to take you back to the website where you first pinned. Once an image is pinned it is added to a "feed" for all of the people that follow your pins. Then, they can repin your pin if they like what they see. You may also choose to follow other people because they might pin really cool stuff. You can choose to repin their pins onto your boards too. You can use Pinterest as a pinner that is searching for the next best recipe or craft idea or even inspiration for the next story you want to write. You can use Pinterest as a pinner that has created the next best recipe or craft idea or story that you want share with people and attract them to your blog or website to find out more. And of course you can do both! In March 2012, I published my first Three Ghost Friends eBook, Three Ghost Friends: Learn About Colors. I planned to use social media to get the word out about my new venture into children's book publishing. I was asked by Jennifer Young on her blog in April 2012 about my eBook promotion plans. I explained to her that I planned to use Facebook as the focal point of my book promotion. Earlier on, I built a large Facebook audience by promoting contests and giveaways. Once I had an audience of about 5,000 people, I began blogging about crafts and activities that families could do together after reading my eBook. I shared the links on Facebook, but decided to also share on Twitter and a Three Ghost Friends Pinterest board. 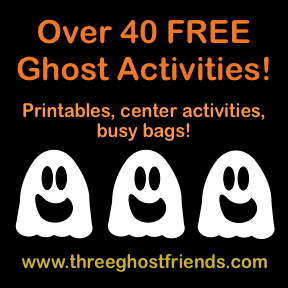 Publishing three additional eBooks in the Three Ghost Friends series provided an opportunity for me to continue to develop more activity ideas including numerous FREE printables. My blog's traffic averaged monthly pageviews ranging between 1,500 - 3,000 from April - September 2012. In April and May 2012, I published 40 blog posts with new activities or book related announcements. I was motivated to develop numerous posts each week hoping that my Facebook audience would take notice, share my ideas with their friends, and ultimately buy my eBooks. This did not happen like I had hoped. Facebook proved to be very difficult to get people to notice the postings and practically impossible to get people to share with their friends. However, I began to notice that the majority of the traffic I was getting to my blog was from my Three Ghost Friends Pinterest Board. I VERY was intrigued -- luckily was not discourage by my Facebook failure -- and continued to make activities and printables. In the months of June through September 2012, I averaged about 7 posts each month and continued to post on all three social networking sites. Pinterest continued to be the website that was referring the most visitors to my blog each month. I noticed that content creators on Pinterest, like me, were creating really cool images to advertise blog posts or website pages that had LOTS of content like Top 10 lists. I realized that I had racked up a lot of content so I made a static ACTIVITY PAGE on my blog. Then, I made a new pinnable image for my ACTIVITY PAGE and shared it on Pinterest too. My first image promoting my ACTIVITY PAGE. Meanwhile, more and more people were saying to me that my eBooks would be great for Halloween. It actually had never crossed my mind because the first three eBooks have nothing to do with Halloween -- they just happen to have ghosts as the main characters. So, I wrote a Halloween eBook and began to focus my energy on the Halloween holiday to spread the word my books. 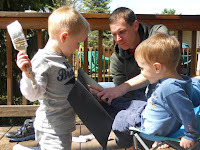 In October 2012, I published 13 new blog posts with new activities and printables. I expected a bump in blog traffic with the increased blog posts and the Halloween-time of the year, but I didn't expect what actually happened. During the month of October this blog had over 16,000 pageviews. This was more than all the other months combined. How did this explosion of blog traffic happen? I have Pinterest to thank. In the month of October 2012, Pinterest referred over 2,700 visitors to the blog. Additionally, the third highest referring site (Thank you! Growing a Jeweled Rose) brought over 500 referrals by featuring one of my pins from Pinterest in a blog post! So, over 3,200 referrals technically speaking came from Pinterest. Which pins brought in the traffic? As my content started to grow, I made a new image for my ACTIVITIES PAGE. The "pin" of this image received 190 repins. Over 4400 pageviews for the activities page just in the month of October! In addition to these pins, I had a few pins about individual activities that did very well too. They made their rounds with pinners that were preschool teachers, parents, and homeschoolers. This pin was for Boo! I Found You! 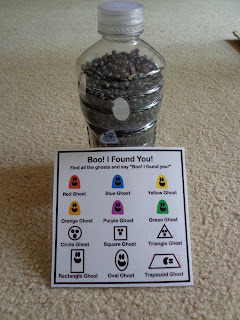 Homemade Look-and-Find Bottle that helped promote my Three Ghost Friends: Learn About Colors and Three Ghost Friends: Learn About Shapes books received 87 repins. My Feed the Ghosts: Color Sort to promote Three Ghost Friends: Learn About Colors received 71 repins. As Halloween approached I started to notice lots of great ghost recipes and decoration ideas in my Pinterest feed. Many of them actually featured "three ghosts" in the image like 3 ghost cookies in Ghost No-Bake Cookies from Freckleberry Finds and 3 ghost decorations in Hanging Ghosts from Simple Designing. 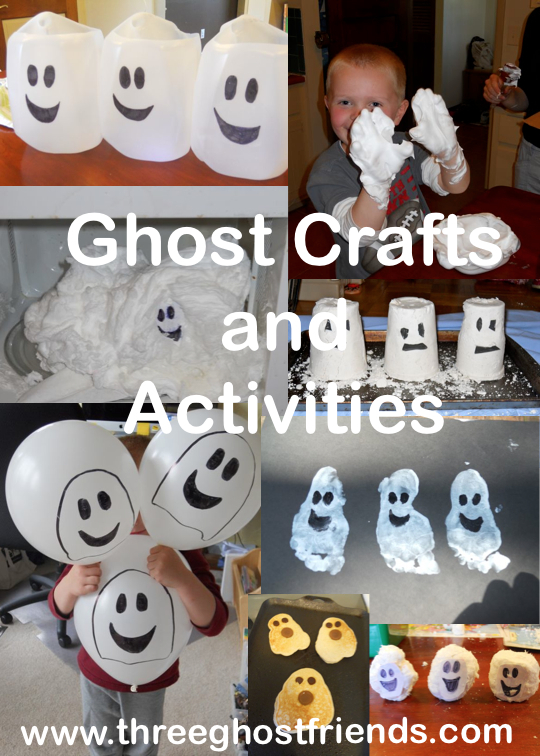 I began pinning these ideas to my Three Ghost Friends Pinterest Board too. 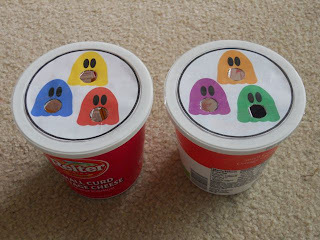 I found that I liked pinning other ghost ideas to my Three Ghost Friends board. Now the followers of my board were receiving more ghost ideas for Halloween than I could ever produce myself and I was able to help other content creators by sharing their really cool ideas. 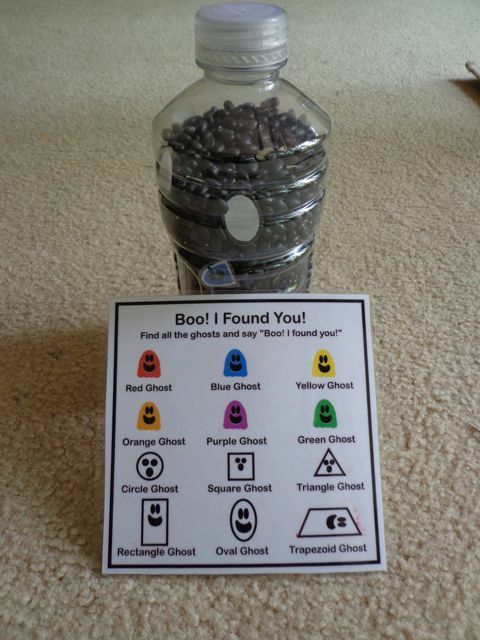 My Pinterest Board now showcases over 200 pins about ghosts! I feel like I was curator of all fun things "ghost" this Halloween. If you have read this far and you are a children's book author you are probably just waiting for me to talk about how many books I sold because of Pinterest. I also know that it is extremely hard to sell books as a first-time self-published author. I have been blessed with many friends and family that have supported me by buying my books both as eBooks and in print. Additionally, early on, I was lucky to have my eBooks featured in the Children's Picture Book section at the Apple iBookstore. But, I found that every opportunity to sell books usually dried up over time. Therefore, I have tried to find new ways to promote my books which was exhausting, difficult, and sometimes frustrating --yet for some reason I enjoyed every minute of it. However, my Pinterest experience was quite the contrary. Sure, it took many hours to create the activities and write the blog posts, but Pinterest and its many "pinners" did much of the marketing for me through their repinning. My Three Ghost Friends activities that I made over the summer were given new life in October thanks to the Pinterest community! If you are content creator or a children's book author you need to showcase your work on Pinterest. If your content is relevant, then the "pinners" will find it and help share your work. I never expected this, but I love knowing that a family may spent time together doing an activity that I shared on Pinterest. Lastly, I did my best to cram my whole Pinterest experience into one blog post. Please do not hesitate to ask questions in the comments section. Oh...and if you love my Three Ghost Friends or just ghosts in general, please follow my Pinterest Board. That is terrific, Eric! Thanks for sharing the data and details of how Pinterest worked for you! Really comprehensive and helpful summary of your Pinterest experience. Thanks for sharing! Such a valuable post, Eric! Thank you so much for sharing this info to help the rest of us. You're a pioneer! Eric, thanks for this very practical post on the power of Pinterest (like my alliteration). I have often wondered about the payback for Twitter and Facebook. But now I can see that Pinterest pays off. Excellent ideas! Thank you so much for sharing your promotion strategies. Very helpful. Now I just need to take action. Great post. I've been using pinterest, but not like this. And, the timing is perfect for me, because I'm trying to put together an activity guide. Thanks! Thank you for all the comments! I am so glad the post was useful. Please let me know if you have any further questions.